Check out Ritchie, Edmonton homes for sale located in Southeast Edmonton. It's a great neighborhood offering easy access to downtown Edmonton while being close to the river valley and Mill Creek Ravine Park. 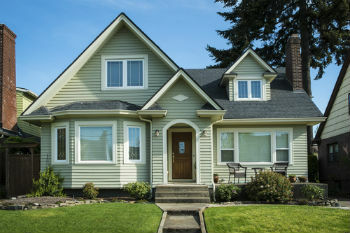 Homes in the area vary widely from luxury infills to original bungalows to low rise condos. In addition you can find the odd piece of vacant land for sale if you're looking to build your own infill. Homes in Ritchie also have a wide price range and can go up to $900,000. It's a community that's close to shopping and the University of Alberta. Read more about Ritchie Edmonton homes for sale below the listings! Explore Ritchie Edmonton real estate and, thanks to its fantastic location, you'll be close to a number of shops, bars and restaurants on 82 Ave., plus convenience stores and small shops within the community itself. Among the nearby stores are a Save On Foods, No Frills and Bulk Barn. If you fell like going out on the town, there are many nightclubs nearby like the Backroom Vodka Bar, H20 Lounge, Red Square Vodka House and if you're in the mood for some two-stepping and country music, there's Cook County Saloon. There are two schools within the community. Escuela Mill Creek School is an elementary International Spanish Academy that's run by the Edmonton Public School Board (EPSB). École Joseph-Moreau is a French Catholic junior high school operated by the Greater North Central Francophone Education Region No. 2. The school is housed in what used to be Ritchie Junior High School. As mentioned, there are a few condos in Ritchie that are low rise apartments, and there's usually a few for sale at Scona Gardens. If you're looking into condos and you enjoy getting out for walks, the Mill Creek Ravine Park is on the eastern edge of the community and offers some fantastic walking trails that run north-south from Connors Rd. to Argyll Rd (63 Ave.). Within the community is Ritchie Park, where there are 3 tennis courts and a fully lit outdoor hockey rink with a paved base. If you have small children, there's a fun playground at the Ritchie Community Centre. If you would like to see any Ritchie homes for sale in Edmonton, please contact MaxWell Challenge Realty and let us help you find the perfect home! Reach us by phone at 780.990-7777.